With its trapezoidal-shaped ribbing and subtle fluting in between, this roofing profile makes a stylish statement to your outdoor addition. 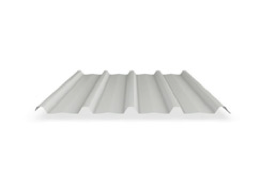 The long spanning cladding enables wider spacing between supports, giving you a more open view. The pièce de résistance of any outdoor space is a gazebo by LYSAGHT LIVING®. A new backyard gazebo will instantly add a picturesque focal point to your surrounds. Whether you’re looking to create a charming outdoor dining space, or simply a peaceful spot to relax, LYSAGHT LIVING® gazebos are engineered to leading standards while remaining easy to assemble and maintain. If you’ve made the investment in a new car, boat, or caravan, it simply makes sense to protect it. That’s where a LYSAGHT LIVING® carport steps in. A solid, durable defence against the harshest elements of the Australian climate, a LYSAGHT LIVING® carport can also be custom designed for your needs. The carport garage debate has been fiercely contested among homeowners and builders for decades. But there’s no faster, easier or more affordable way to protect your investments than a LYSAGHT LIVING® carport, tailored to fit anything from your 4WD, to the family caravan or boat. Designed to blend perfectly with your home, our range of patios, pergolas & verandahs will truly maximise your home’s potential. With a wide range of options to choose from, flat or pitched, freestanding or attached, we are confident in meeting nearly every design brief - from a show-stopping backyard pergola to a relaxing verandah that blends seamlessly with your home’s existing design.